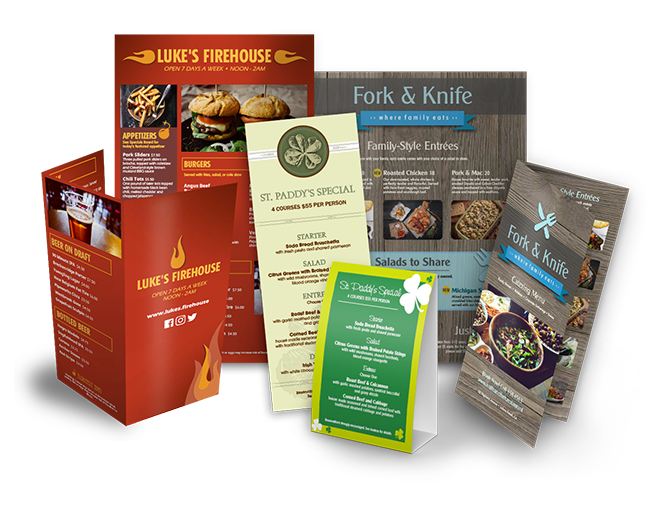 Gloss Laminated Menus are perfect for use in bars and restaurants as they can be wiped clean. Printed full colour double sided there are a range of folding options available. Please specify in the notes which type of fold is required. Our Menu’s are printed full colour onto a 400gsm Silk stock in a variety of sizes so you´ll definitely find what you are looking for. The prices shown include the cost of folding, please tell us what kind of fold you require in the notes section.igital printing is the perfect solution for quick turnaround, high quality, full colour printing.